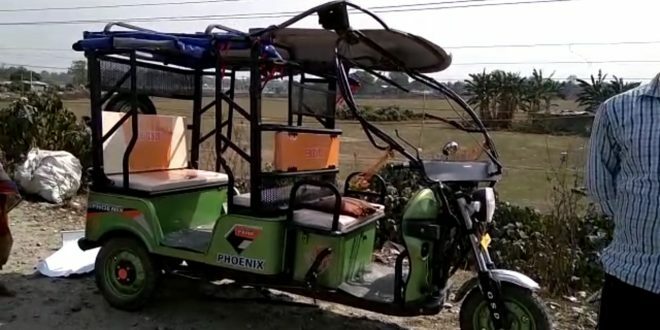 A pregnant woman was injured in a face to face collision between a Toto that was heading towards North Bengal Medical College-Hospital and a bus that took place near Siliguri town. It is known that on Thursday afternoon a pregnant woman, and some passengers were travelling in a Toto and going towards Medical College -Hospital when suddenly a bus coming from the opposite direction lost its control and hit the Toto because of which all the passengers including the driver got hurt. After this, local people admitted the injured to the North Bengal Medical College-Hospital. Meanwhile, the police reached the scene after getting information about the incident and got involved in the investigation.